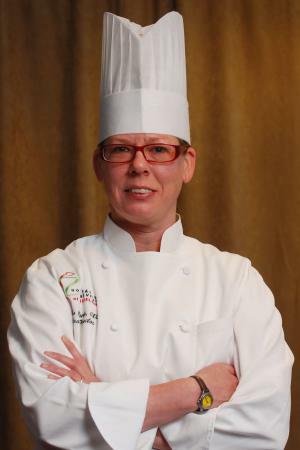 This event is being hosted by the Chef Jackie Baldwin Memorial Scholarship Committee; proceeds from the event will benefit the Chef Jackie Baldwin Memorial Scholarship Fund at Schenectady County Community College Foundation, Inc. All donations are tax-deductible to the fullest extent of the law. A native of Troy, New York, Jackie Baldwin dedicated her life to service, contribution, and improvement. A pioneer in the restaurant industry, Jackie was a young and eager female in a male dominated profession. Her open heart, kindness, and boundless energy were a gift to all that knew her. Jackie was driven along with Michael Cunningham, Jim Rua, Andrew Plummer, Yono Purnomo, Ric Orlando, Dale Miller and other great chefs of this area to make the Capital District a wonderful dining experience. Jackie helped raise money for local charities, mentored other chefs, taught eager culinary students, and cared about every meal served. As Rex Smith remarked: "she had a calmness and sense of humor that effected everyone around her in a perfect way". Ric Orlando called Jackie "a testament to professionalism and poise". The Malt Room at Brown's Brewing Co.